Progressive Jackpot hits around every 6 days-7 days. 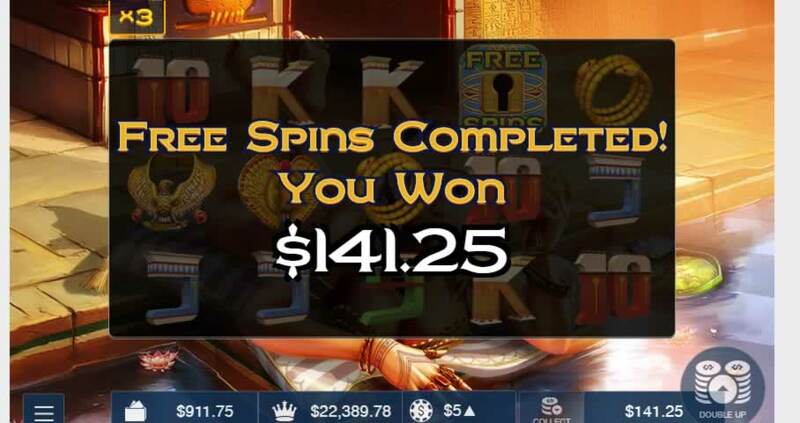 There’s hardly a shortage of Egyptian-themed slot games and it’s more than likely you have already played at least one featuring the beautiful Cleopatra. At the same time, you’ve probably never seen her looking and acting as seductive as she does in a video slot developed by Proprietary Games. The heroine frequently welcomed into the online gaming world was the last ruler of the Kingdom of Egypt, famous for her affair with Julius Caesar which produced a son. Later on Cleopatra hooked up with another powerful Roman, Mark Antony, and gave birth to three more children. They married but their love story ended with tragedy: defeated by Octavian, Antony committed suicide, and Cleopatra followed his lead by poisoning herself once she learned Octavian was planning to take her to Rome. It was this enemy who was largely responsible for Cleopatra being thought of as a seductive woman tempting powerful Roman men rather than a capable politician, a diplomat and a polyglot. Did you know the lady spoke a dozen different languages? Instead, we all talk about her looks, though according to ancient portraits she was not even particularly beautiful. Proprietary Games, however, chose to portray her as an attractive seductress offering generous rewards along with a sight of her physical attributes. The more times you guess correctly the more clothes she removes. 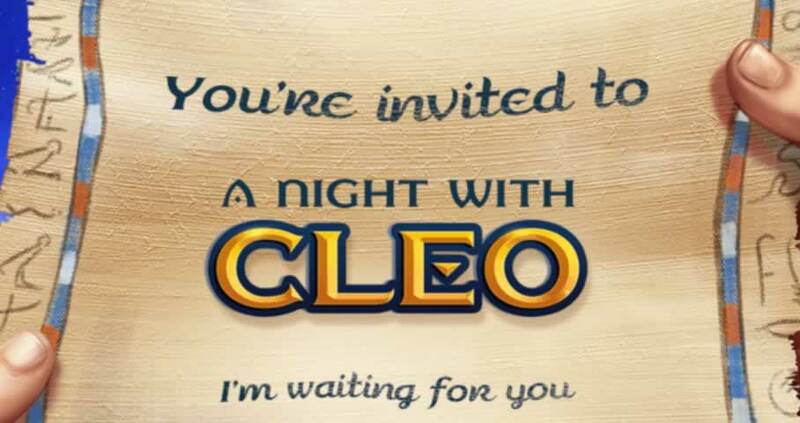 A Night With Cleo plays with 5 reels and pays over 20 fixed paylines. 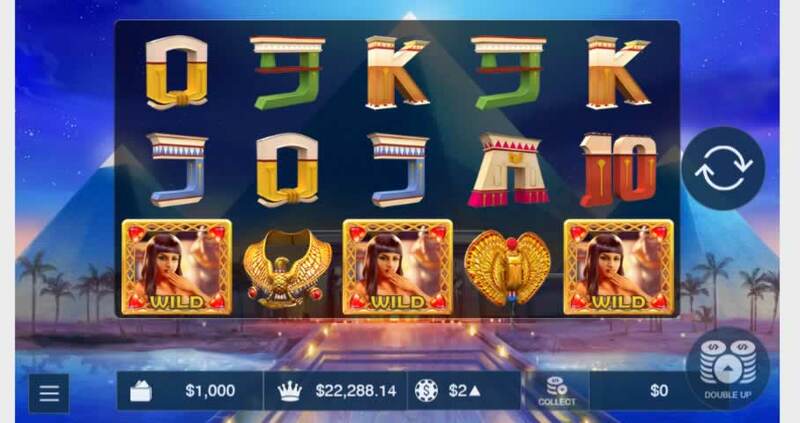 Walk into Cleo’s magnificent palace standing lit at the banks of the Nile and you’ll meet your beautiful hostess who’s offering her most precious golden ornaments to help you collect high and medium-sized payouts. Landing playing icons designed in line with the theme also pays though smaller amounts. Cleo is a Wild icon which substitutes for all symbols except for the Scatter and doubles the prize while blowing you a kiss. Whenever you manage to create a winning combination during the base game, she’ll offer you two lotus flowers to pick from and potentially double the reward. You can try it for up to 5 times, and if lucky, turn $100 into $3,200. The lady offers an additional treat – each time you guess correctly, she’ll shed a piece of her (already scanty) clothing. 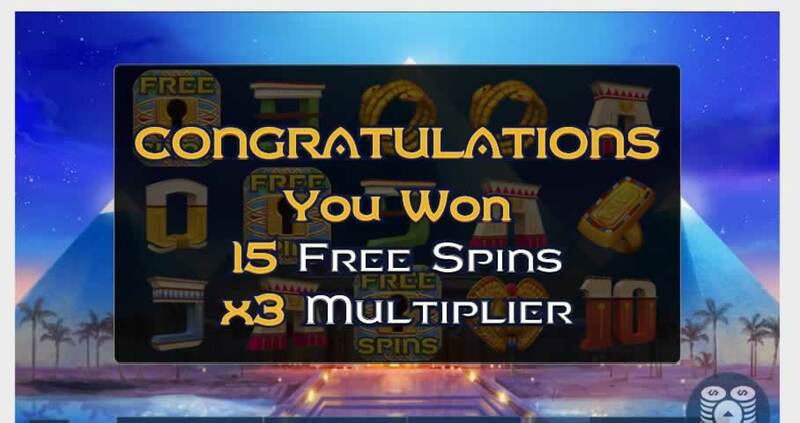 Landing 3 Scatters unlocks Free Spins bonus round and serves you with 15 spins on the house, with the potential to re-trigger the feature and claim additional free games – as many as 180 in total! 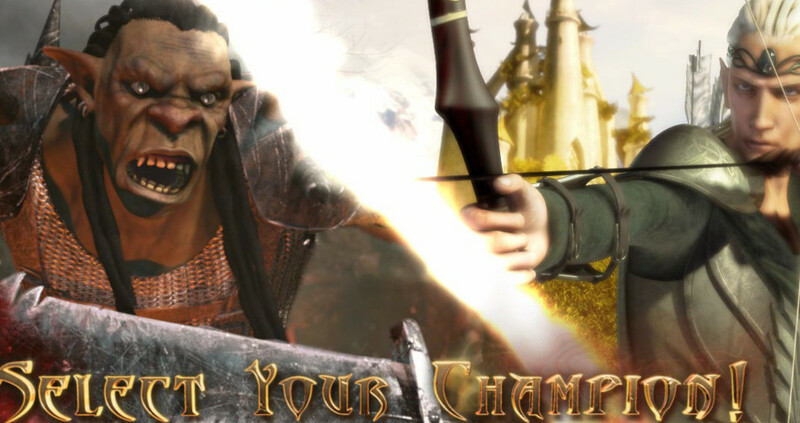 While reels spin without being fueled by your balance, all payouts are tripled. 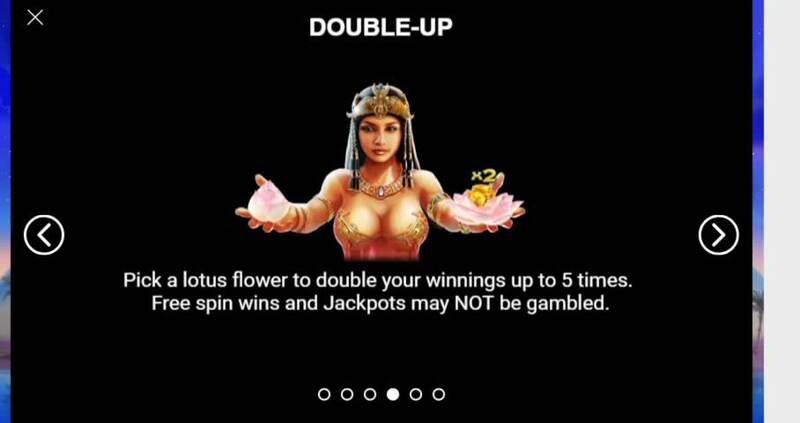 At the same time, Wild Cleopatra multiplies the prize x5. Last but not least, A Night With Cleo features a progressive jackpot which could potentially become yours at any point during the game. There’s no triggering combination one needs to assemble; the jackpot is triggered randomly. Bonus round activated when you get three Spins on the board. It takes a single click to set the wager between $0.20 and $200, which makes the game equally appealing for low and high-rollers. 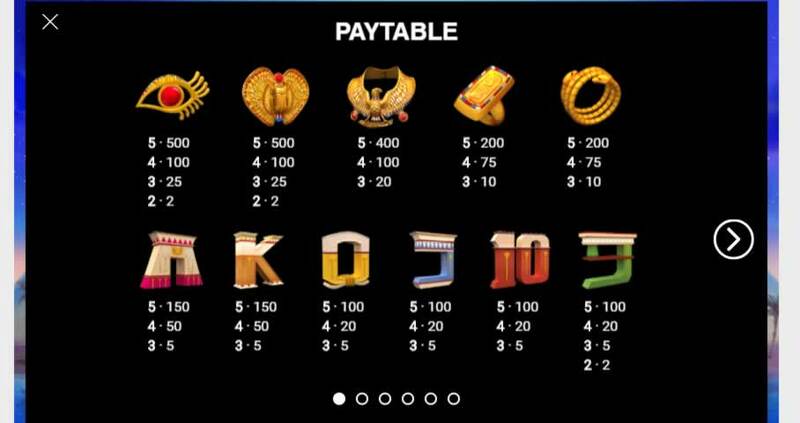 As far as return on investment goes, the two most valuable game symbols will pay 500x your line bet for five-of-a-kind , while Wild Cleopatra offers to multiply it up to 10,000 times. Let’s do a quick calculation: if betting the max amount, you’ll be wagering $10 per line and can potentially collect $100,000 simply for making your hostess appear five times. She’s even more generous than the Scattered lock which can pay 100x your total stake or up to $20,000. If you want more, there’s no other option but to hope for the progressive jackpot. At the time we played, it was offering to boost our balance by more than $184,000, and the amount could be even higher when you show up. Only last year Cleo has made one lucky player ecstatic by dishing out more than $750,000! Travel back in time and this attractive lady might be equally generous to you.